We are using progressive 15N labelling of Arabidopsis to provide a birds-eye view of the activity of the proteolysis network as it maintains and sculpts the plant proteome. Using peptide mass spectrometry, the progressive labelling of new peptides and the decrease in the abundance of peptides with natural isotope profiles enabled the degradation rate of specific leaf and root proteins to be quantified. This allows deep insights in selective proteolysis of proteins in vivo in different mutant backgrounds. It also enables analysis of the selective degradation of subunits of protein complexes, giving information on the regulation and maintenance of these structures. We will present new evidence of the changes in turnover rate of specific proteins in leaves and roots in several atg mutants in Arabidopsis which are altered in autophagy. This shows the selective effect of pathways in autophagy on the fate of organelle types and on biochemical functions in leaves and roots. We will also show the effect of oxidative stress on turnover rates of 80S ribosome and 26S proteasome subunits in Arabidopsis following purification of the complexes from 15N labelled Arabidopsis cells. Harvey Millar, Director, ARC Centre of Excellence in Plant Energy Biology. His research focuses on mitochondrial function in plants and the role of metabolism is the energy efficiency of plants. 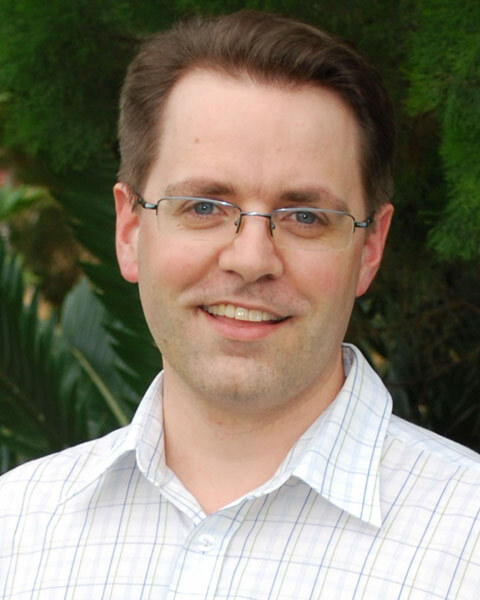 His work has provided key new insights into antioxidant defence pathways in mitochondrial, diurnal rhythms in mitochondrial metabolism, tissue-specific mitochondrial functions, plant-specific features of the electron transport chain, regulatory networks governing respiratory activity in plants, and the mechanisms of mitochondria damage during oxidative stress. His group is also working on advances in plant proteome analysis to allow measurements of protein turnover rates and targeted quantitation of enzymes in metabolic pathways in both model plants and crops. In international collaborations using novel dataset and software developments, he has been involved in building plant proteome databases, protein location prediction and protein-protein interaction prediction in plants. Bio: Harvey Millar, Director, ARC Centre of Excellence in Plant Energy Biology. His research focuses on mitochondrial function in plants and the role of metabolism is the energy efficiency of plants. His work has provided key new insights into antioxidant defence pathways in mitochondrial, diurnal rhythms in mitochondrial metabolism, tissue-specific mitochondrial functions, plant-specific features of the electron transport chain, regulatory networks governing respiratory activity in plants, and the mechanisms of mitochondria damage during oxidative stress. His group is also working on advances in plant proteome analysis to allow measurements of protein turnover rates and targeted quantitation of enzymes in metabolic pathways in both model plants and crops. In international collaborations using novel dataset and software developments, he has been involved in building plant proteome databases, protein location prediction and protein-protein interaction prediction in plants.